Palminder Ratan trained as a nurse at Bart’s Hospital and worked in respiratory medicine and haematology at the Royal London Hospital. 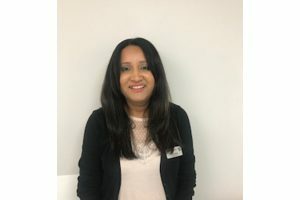 Palminder is also trained in Occupational Health and has undertaken specialist training in BabyJabs vaccinations plus BCG and Mantoux testing. Palminder runs our BabyJabs clinics and also undertakes travel vaccinations an sexual health testing.